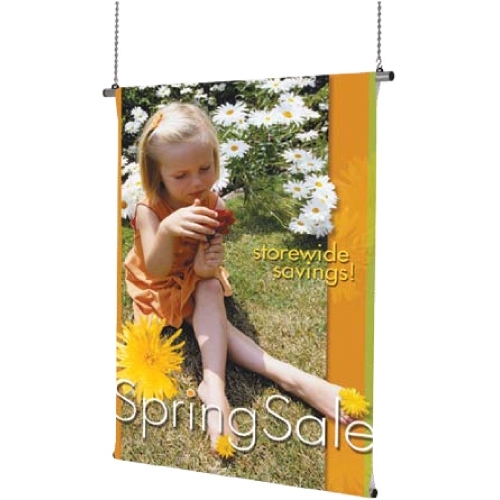 An easy and attractive way to hang any length banner! This aluminum pole system keeps banners smooth and hanging straight, accommodating pole pocketed banners or those finished with SuperGrip banner frame. Integrated channel in aluminum pole accepts hanger clips or joiner for extra wide graphics. Perfect for displaying single or double-sided banners, these pole kits come complete with 1" diameter poles, SuperGrip banner frame, end caps and hanger clips. Size * Choose Size » 21" 35" 47"